Valentine is about love and with that it drove the Samoa Stationery and Books to love and value their customers. 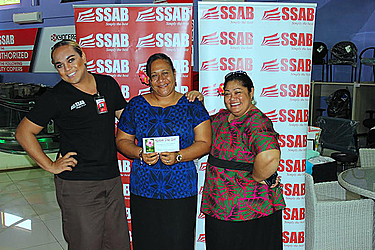 For the past 20 days, S.S.A.B held a Valentine Promotion where they partnered with Upper touch, Connexions, Misiluki Day Spa and Loralei to give back to the community and make this year’s Valentines extra special. Customers had to spend $30 or more at S.S.A.B. Megastore and win one of the vouchers sponsored by their said partners. The four lucky winners were Vicky Chandra, Melody Pepe Solomona, Paleatasala Leone and Helen. Vicky Chandra received the gift voucher from Loralei worth $200. “I can’t explain. I am just so happy,” she said. 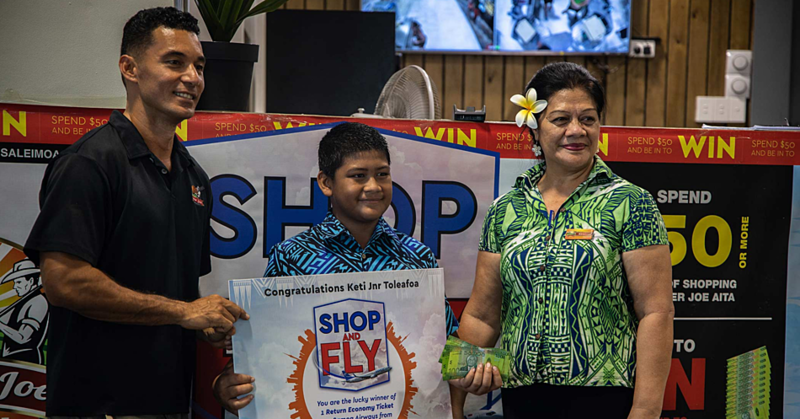 Melody PepeSolomona won a $200 voucher from Connexions.Her voucher was uplifted by her mother Papalii Peone Fuimaono – Solomona. “Thank you for giving back many of S.S.A.B’s promotions for us we can that day. We spent about $200 when we came in to purchase and now we’ve gotten it back,” she said. Papali’i is one of the prominent position holder at M.E.S.C. and shethank S.S.A.B. especially for supporting Literacy. Grace Isaia Leone said that she is very excited when she received the call from S.S.A.B. “I bought a washing machine when I came in that day and I’m very happy that I have been rewarded with this voucher from Misiluki Day Spa,” she said.“Washing machines, stationery and home appliances are the products that I always look out for when SSAB has their specials. S.S.A.B’s Marketing manager, Asia Stanley, said this is the first time S.S.A.B. has partnered with four companies at Samoa’s only Megatsore for this particular promotion. 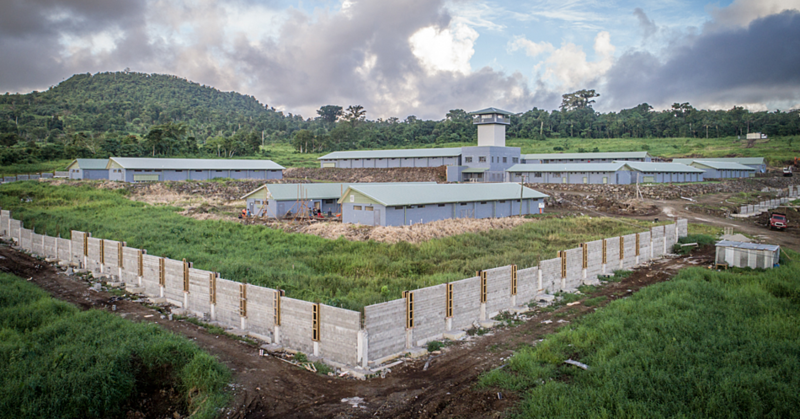 “Our C.E.O and President Fiti Leung Wai emphasised the significance of collaborating and working together with different companies to achieve the goal of giving back to the our people,” she said. 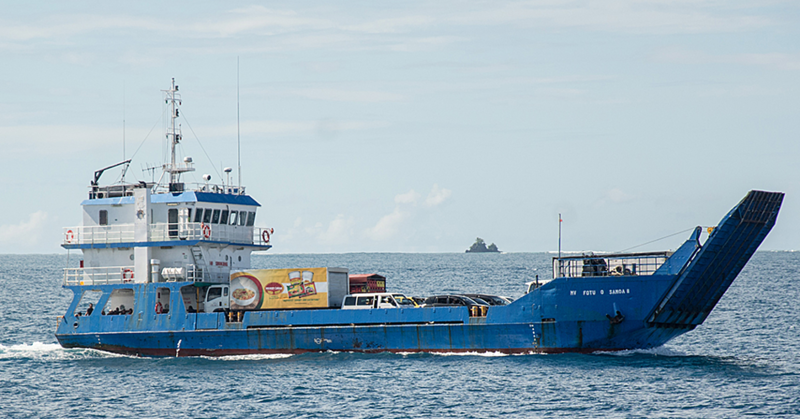 “We believe in rewarding our customers and this is not the first time the company has done it.